Tui De Roy is an award-winning wildlife photographer, naturalist, and author of many books on wildlife themes around the world. She is also an ardent conservationist who has combined her life’s three passions — Wildness, Photography and Conservation — into a successful career as a world communicator striving to sensitise her audiences to take better care of our natural planet. Tui is Belgian by birth, but grew up in the Galapagos Islands, where her parents took her to lead a pioneering lifestyle when she was two years old. She never attended school, being home taught, and is fluent in four languages: English, French, Spanish and German. After more than 35 years in the Galapagos Islands, Tui relocated to the South Island of New Zealand in 1992. She runs The Roving Tortoise Nature Photography together with business partners Mark Jones and Julie Cornthwaite, working freelance under the motto ‘Images of Wildlife and Wilderness from Our Planet's Most Pristine, Uninhabited Regions’. Published in more than 40 countries, Tui’s first articles appeared in major U.S. nature magazines when she was 19, followed a few years later by her first book, GALAPAGOS: ISLANDS LOST IN TIME (Viking 1980). Many subsequent volumes cover not only the Galapagos Islands, but other natural wonders of the world, notably Antarctica, the Andes Mountains, New Zealand and the highlands of Kenya. More recently, Tui has returned almost full-time to the Galapagos Islands, where she has intensified both her conservation involvement and her photographic coverage of rare and difficult to access subjects. Her most recent books include a pocket guidebook series, a children’s book and an authoritative volume, GALAPAGOS: PRESERVING DARWIN’S LEGACY. This represents a compilation of 50 years of science and conservation work since these islands were declared Ecuador’s first national park. This effort won Tui an ‘Honorary Park Warden’ medal from the Galapagos National Park when it decided to publish a Spanish translation of the book for free public distribution and awareness raising as closure to its 2009 half-century anniversary events. Besides publishing credits (see list with CV), Tui has also lectured extensively in North America, including at the Smithsonian Institution, American Museum of Natural History, New England Aquarium, California Academy of Sciences, etc, and in Europe (Germany, France, Belgium, Finland, UK). She has also lectured extensively in New Zealand, and was guest speaker at the Nature In Focus photography festival in India in 2016. 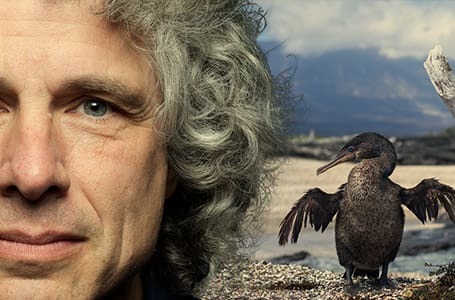 Her landmark books include the twin volumes, ten years in the making, PENGUINS: THEIR WORLD, THEIR WAYS, sister volume to ALBATROSS: THEIR WORLD, THEIR WAYS, whose purpose is to draw attention to the increasingly beleaguered status of both groups of endangered, charismatic marine birds. For more on Tui’s life and work, visit http://www.rovingtortoise.com. In 1976, at the age of 22, Tui married Alan Moore of Massachusetts, USA, a natural resource management specialist and FAO consultant sent to draft the Galapagos National Park’s first management plan. They lived in Galapagos for seven years, but divorced in 1983, when after publishing her first book, Tui found she needed to pursue greater world adventures than Alan’s consultancies could provide. That same year, Tui met Mark Jones, a professional naturalist and dive guide six years her younger who shared her interests in photography and exploration. For 22 years that travelled together to some of the remotest corners of the planet on all seven continents, as freelance wildlife photographers, writers and naturalist/tour guides, marketing their photography and self-publishing books and calendars under the logo The Roving Tortoise. In 1992 they took up residency together in New Zealand, but Tui remained strongly linked with Galapagos both in her work, and for family reasons. In 2005 Tui and Mark separated, but have continued running The Roving Tortoise jointly, together with Mark’s new partner, Julie Cornthwaite. Tui has no children. She lost her father André in 1990 and her mother, Jacqueline, in 2015, both in Galapagos. Her brother Gil married Martha Luna of Ecuador, with whom he had one daughter Nathalie. Both he and Nathalie are Galapagos fishermen. 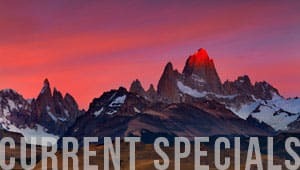 View Tui De Roy official website, to see and learn even more of her award-winning photography, places visited around the World, and past work. Join award-winning Galapagos wildlife photographer, Tui De Roy, on a 7 night/8 day cruise in August 2020 aboard the M/V Evolution, exclusively for 30 guests, ideal for amateur to professionals alike. Improve your photography skills with an award-winning National Geographic photographer, Tui De Roy, in the Galapagos! This will be the third annual photography cruise with Tui delivering daily lectures, hands-on lessons and your accompanied by expert naturalist guides. The wilderness and harmony of Galapagos has etched into my spirit a profound respect and abiding love for the natural world. I feel I know their moods and secrets as intimately as if thy were a kindred spirit.